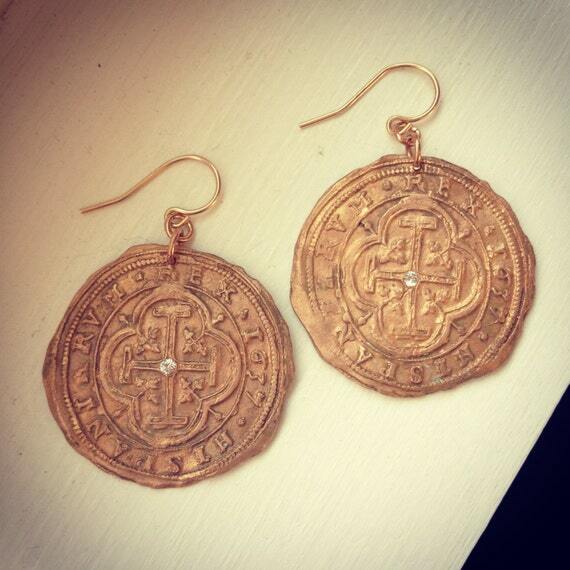 These Earrings feature bronze replicas of 1637 Spanish coins accented with sparkling cubic zirconia gems. 1 1/4" diameter. 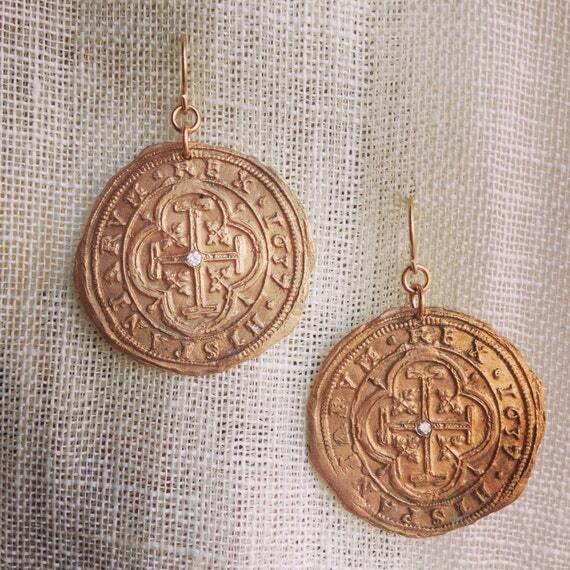 14k gold-filled lead free ear wires.